Lighting in the classrooms and technical rooms had become obsolete, power consumption was correspondingly high and pupils had no ideal visual and working conditions. All were optimised with the new lighting system. 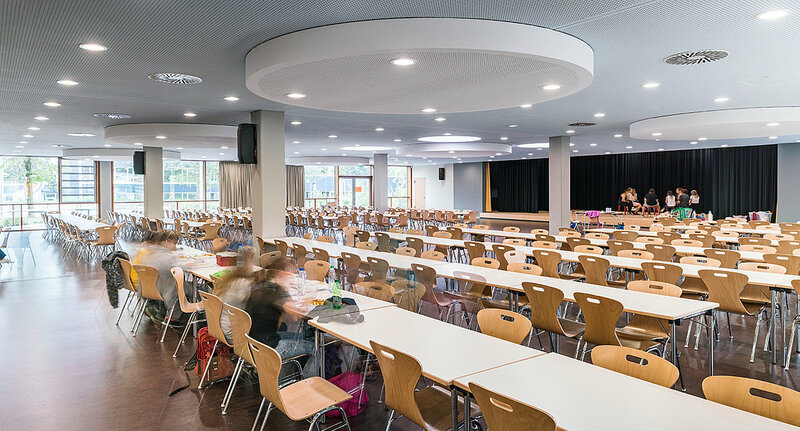 "Whether it is corridors, classrooms, the staff room, canteen or technology rooms – customised, efficient lighting was found for all areas that support the learning atmosphere and at the same time go to make up an environmentally friendly school," said Arne Perlitz, Head of the Stuttgart Expertise Centre. Over 3,200 light points from TRILUX were recently installed in the building with a floor-space of around 20,000 m². 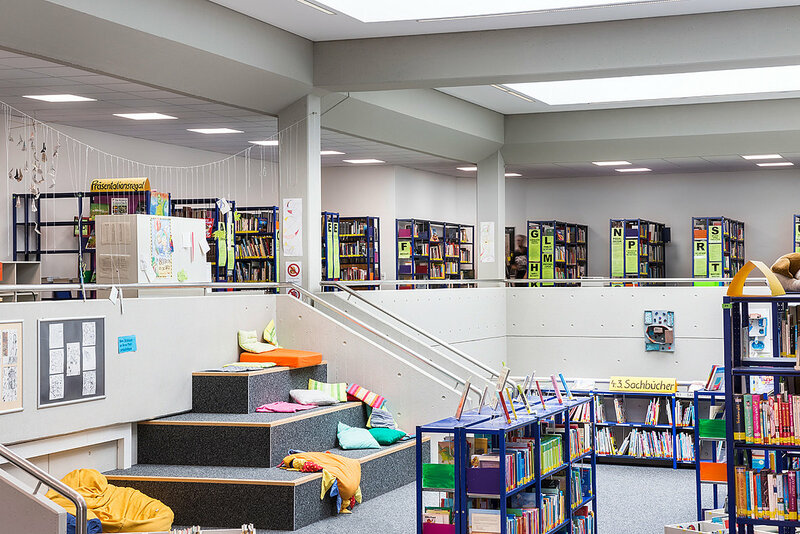 Initial planning intended a conventional lighting system with fluorescent lamps, but TRILUX managed to demonstrate with extensive calculations that LED technology is the more economical alternative over the complete system lifespan. As a consequence those responsible took the decision for digital light, and this is now paying off – compared to the old system the LED luminaires easily consume 89 percent less electricity, thus saving the environment 2616 tons of CO₂ over a period of 20 years. This was an important aspect because environmental conservation is a constant topic at the school – for the fifth time now the educational facility has been distinguished as an environmentally-friendly EMAS facility. The wide distribution optic of the Inperla LED ensures pleasant light. Atmosphere of wellbeing: shadow-free light supports relaxed reading. Standard-compliant illumination into the last corner: tables can be randomly rearranged. Those intending to sustainably use resources cannot avoid the topic of energy efficiency. TRILUX’s Belviso LED has a luminous efficiency of 105 lm/W and compared to T5 fluorescent lamps it requires 40% less power. 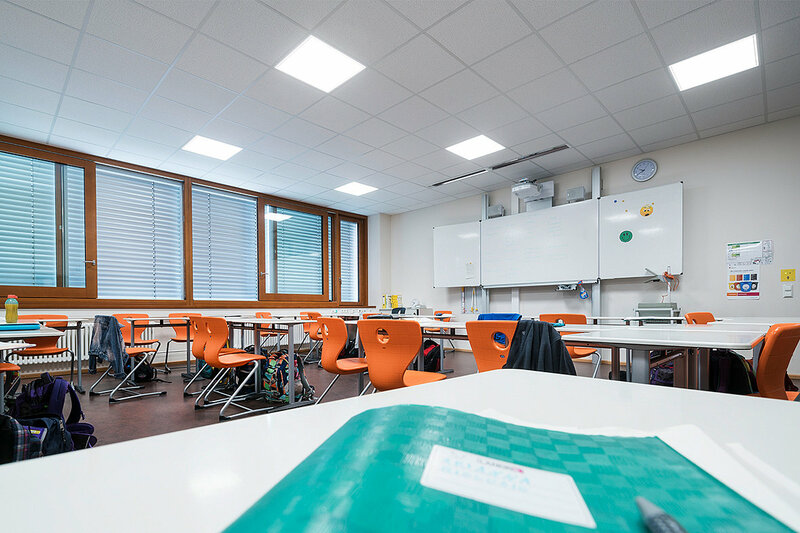 In classrooms, the Belviso LED also creates bright, friendly atmospheres with its unusually purist design, high efficiency and unique light appearance. The micro-prisms also ensure glare-free, harmonious light with luminance of less than 1,500 cd/m². 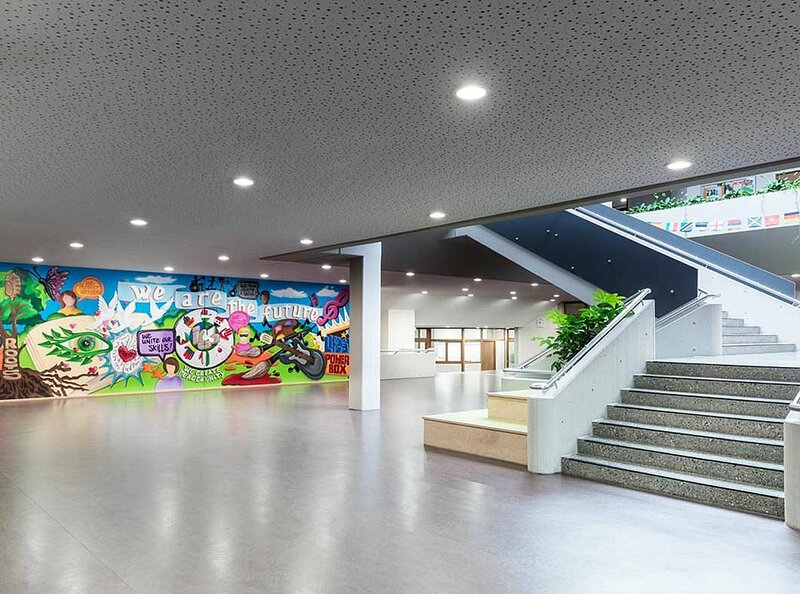 "Each room benefits from general lighting complying to current standards, and independently of how the pupils' desks are positioned" explained Arne Perlitz. a balance between pleasant quality of stay and good visual comfort was achieved, and along the shelving attention was paid to shadow-free illumination to aid orientation. A further Belviso LED application is in the auditorium. "When pupils practice their performances on the stage in front of a black background and below the black ceiling, shadow-free light is very important. 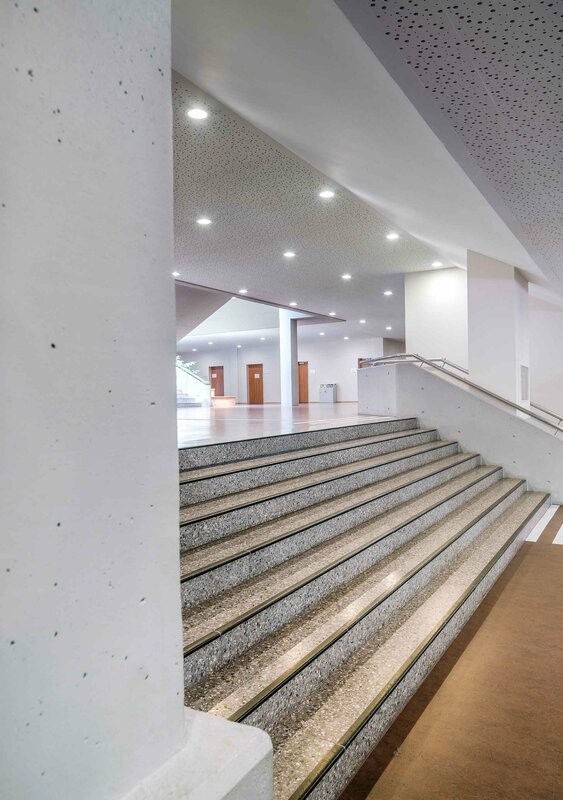 The Belviso D LED with its all-round light contour creates an unmistakable appearance of light and a soft transition to the ceiling," said Perlitz. This exclusive frame of light is the defining element of design with the Belviso and creates a high level of recognition. The Belviso LED – achieving top marks in schools.